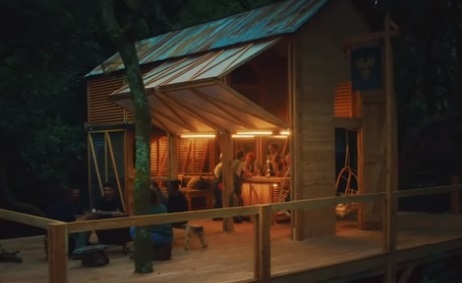 Carlsberg has launched a new campaign in the UK, titled “Build the Danish Way”, aimed at highlighting that everyone has it within them to build something. The campaign features six strangers – Josh, Bianca, Kyle, Vanessa, Sean, and Yah-Wan, as they enter a magical forest and deal with the challenge to build something. Their “adventures” are captured in several episodes, showcasing how the Build is progressing over the days. In April 2017, the beer label has launched a £15 million, integrated marketing campaign in the UK, called “The Danish Way”, starring Mads Mikkelsen, in an attempt to place an emphasis on its heritage. “Casino Royale” actor appears in several ads created by agency Fold7 for the Copenhagen-based brewer, showing how Danish get several things done the “Danish Way” and revealing the secret that makes Denmark the second happiest country in the world. In one of them, he highlights that, while Brits spend a lot of time crammed into tube carriages and queing in traffic jams, Danish use the bicyle. The secret behind the Danes’ coziness-like mood, known as “hygge,” also lies in a “perfectly balanced beer”.